Ships today if you order in the next 14 hours 23 minutes. We all know about the importance of calcium - especially when it comes to healthy bones and teeth. Calcium is also needed for the health of your nervous system and for normal muscle contraction. Allergy Research offers its hypoallergenic Calcium Citrate supplement as a way to support bone health and more. 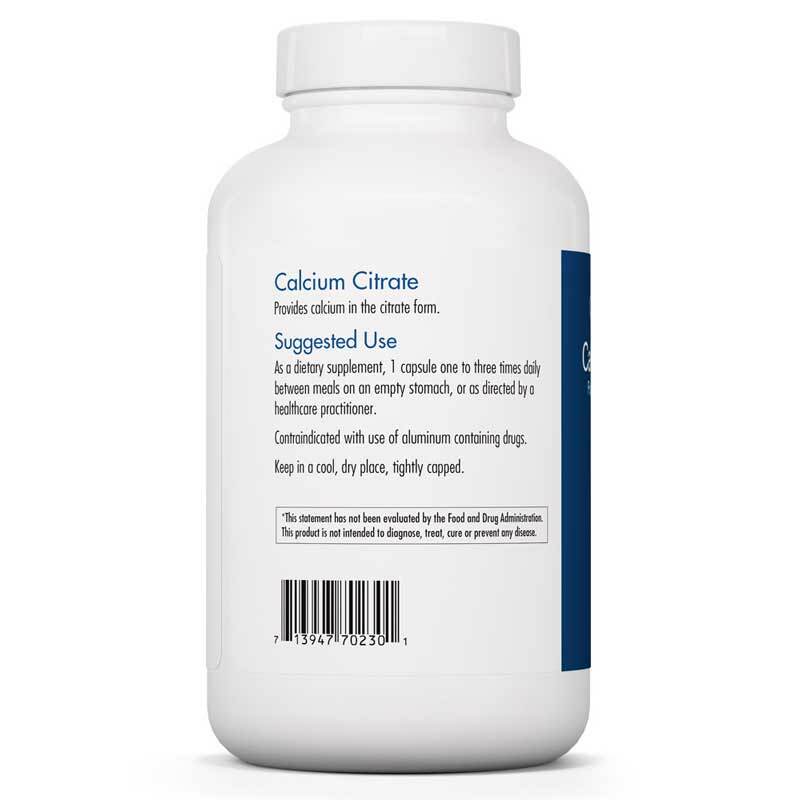 Calcium citrate may be easier for the body to absorb than supplements containing the carbonate form of calcium. 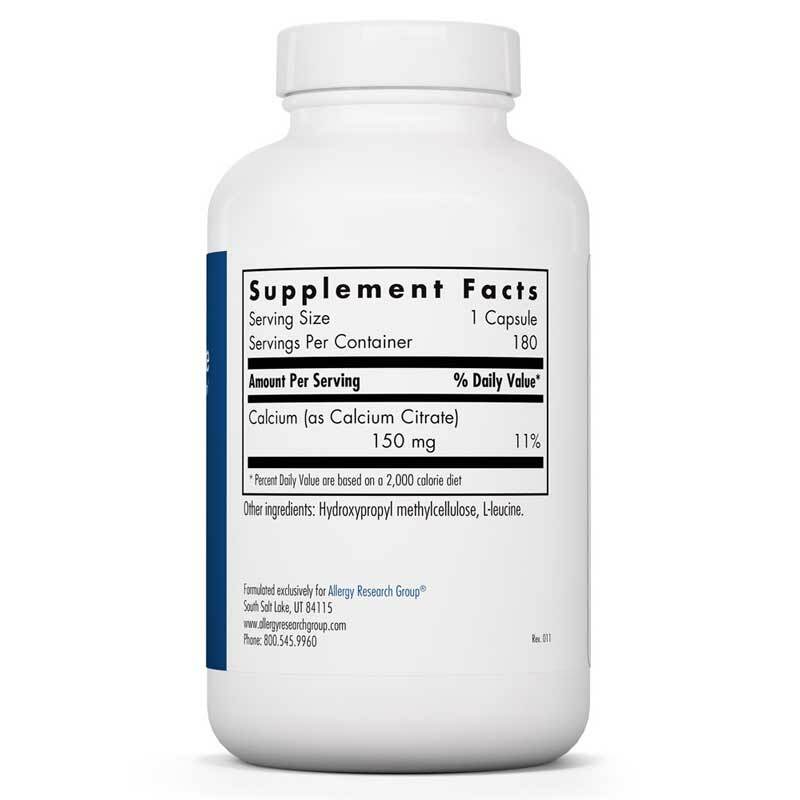 This supplement comes in 150mg capsules designed to be taken up to three times a day. That's because calcium may be better-absorbed when doses are more spread out. Many Americans aren't getting enough calcium in their diet. This nutrient is especially important for teenage girls and women nearing the age of menopause. Those who smoke, drink too much caffeine or alcohol may also be deficient in calcium. But you can make a change so that your body stays in top shape. 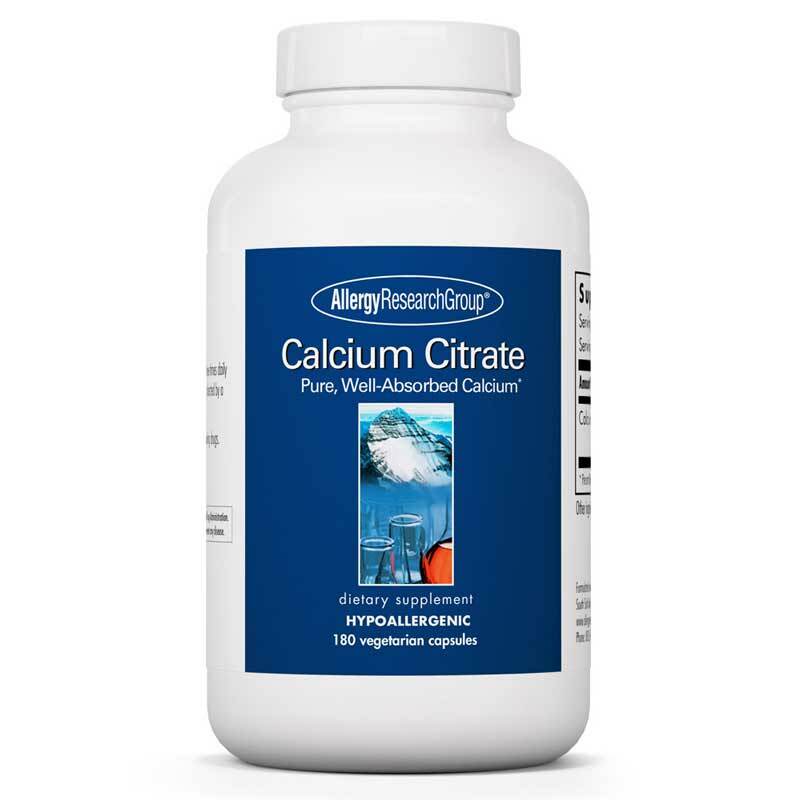 Choose Calcium Citrate from Allergy Research today. Adults: As a dietary supplement, 1 capsule one to three times daily between meals, or as directed by a healthcare practitioner. Calcium is better absorbed when taken in repeated doses throughout the day. When taking calcium supplements, consideration should be given to supplementing also with magnesium. Contraindicated with use of aluminum-containing drugs. If you are pregnant or nursing, please consult your healthcare professional before using this product. Keep out of the reach of children. The Calcium Citrate in this product seem to be easy to absorb. I like the capsules as they are easier to swallow that tablets. Pretty clean product and a good company. Allergy Research Group's products are great and NHC has the best price!